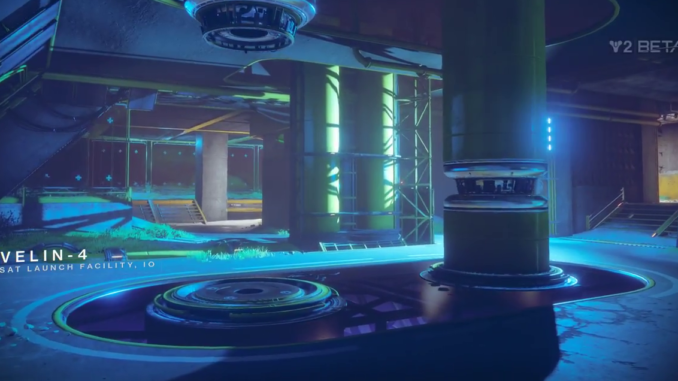 This article contains information and strategies about the Destiny 2 Javelin-4 deathmatch arena. It also contains some tips and tricks for victory. Destiny 2 Javelin-4 is a death-match like arena which has a ring in a center. This will more often than not have people running around and entering fire fights in and out. However, if you follow the map, you’ll find yourself running through other corridors. There, you’ll find more areas to flank and ambush your enemies to quickly. What makes this map so enjoyable is the simplicity of it where players are forced to enter skirmishes. Destiny 2 Javelin-4 is a place where you can truly test your skills. There are not much places to hide and snipe, forcing players to really clash and fight each other. Control Mode in Javelin-4 strategy, like any other control mode, has three points: A, B, and, C. A, on the player’s side, is for the home side. B is the neutral ground where players must fight for control. C is the enemy’s home side or the player’s “far” side. Similar to Endless Vale and Vostok, players must know how to coordinate and capture points along with the concept of rotation. Getting trapped in the center of the map is the last thing you want to do. Circling around will confuse your enemies and staying in the center only merits you a stab in the back from another enemy. Travel as a group. In this particular map, Destiny 2 Javelin-4 derives heavily from its kills. Going in numbers not only means you’ll be able to peel away particular players but, you’ll also sway majority of the skirmishes into your favour. Also, it allows players to create more strategies especially in team clashes. 3-2 Pincer: This particular strategy has the tank or the Titan class accompany the trio while holding the point. While the team focuses on the trio, the remaining duo (preferably those who deal heavy damage like Dawnblades and Arcstriders) can peel away important players. This works well if the team needs to remove a healer who is visibly carrying the team. Grenades can work as a means to flush out enemies. This works especially well even on Point B or the “Station”. Point C on your side is quite expendable or what people would dub as “Far”. You can capture it for a short while or even decap it to reduce the point buff on the opposing team. Point A has pillars which make it survivable for you. Use it in order to gain the upperhand and extend your survivability.